Synopsis: Mr. Majestic is a Kherubim Warlord, named Majestros, who came to Earth millennia ago during a war with the Daemonite species. In the modern era he is a superhero who protects his adopted planet and its natives. He uses a combination of extraordinary physical and mental exploits which make him one of the most powerful beings on the planet. His powers include flight, tremendous strength and durability, laser vision, and an advanced Kherubim intellect. A deadly entity called the Cosmic Negator is going to intercept our solar system in fifty years and only Majestic knows of its existence. He rallies the most brilliant minds on the planet to devise a plan to save the world. Among these minds is the young cybernetic-powered genius Desmond who later becomes Majestic's partner. The group must figure out a way to disguise the solar system from the Negator's senses before it arrives while keeping the project secret to avoid mass-hysteria. Can Majestic and his covert group accomplish this monumental task in time? Watch as the decades tick by! Subsequent adventures include a night on the town with fellow Wildcats member Ladytron. She has found religion in the Church of Gort, but will her fellow robots accept her when she still has organic parts? Majestic and Desmond must stop a space-time rift caused by an unlikely person. Will Majestic be able to stop the danger to the entire world by sacrificing the life of an innocent? Did you know Majestic had a son? Majestros uses a stolen piece of space-time material to reunite with his son, but the result is another deadly rift which threatens the planet. This time the stakes may be too high for Majestic to do the right thing. An intergalactic prison ship crash lands on Earth and Majestic must bring them back to justice before they wreak havoc on the planet. Majestic is ambushed by an interstellar gang of hot women who like to make powerful men their playthings. Meanwhile on Earth, Desmond must help the governments of the world survive the malicious Y2K crisis! The final story is a chilling time where entropy has finally consumed the universe. Only a handful of near-omnipotent beings have endured to witness this final passing. Among them is Majestic, but all organic life has perished, the stars have gone cold, and darkness becomes all. What awaits at the end of all things? Mike Tells It Straight: Mr. 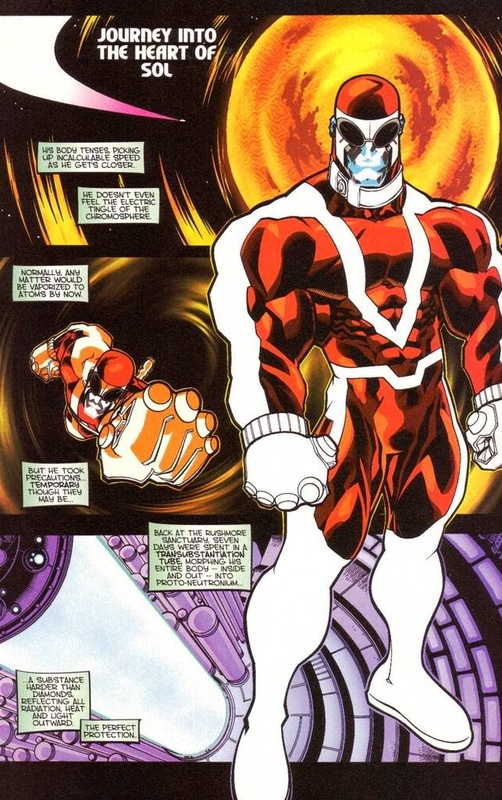 Majestic was introduced as an immensely powerful Kherubim in the pages of Jim Lee's Wildcats when it was still being published by Image Comics. 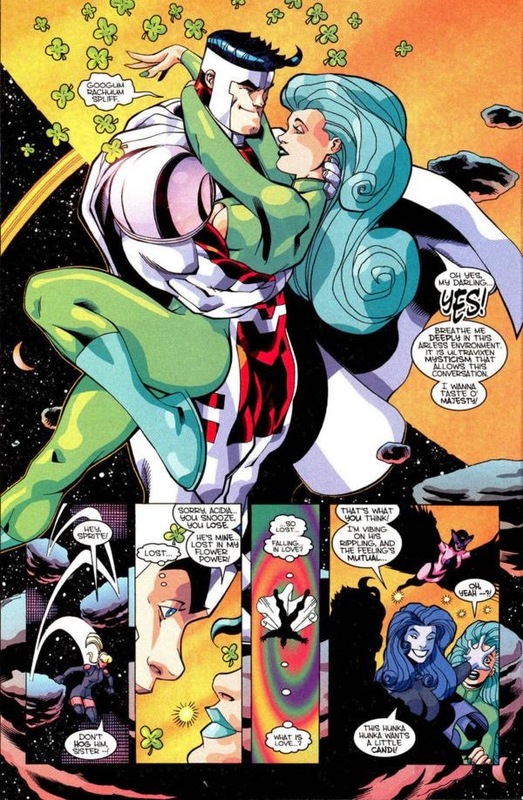 The character became a Superman knockoff, but found some popularity under the pen of Alan Moore during his run on the book with up-and-coming artist Travis Charest. Majestic was portrayed as a stoic hero/warrior with no time for a personal life and consumed by the long war with the Daemonites. He was the perfect straight man for the team and proved to be an interesting addition. 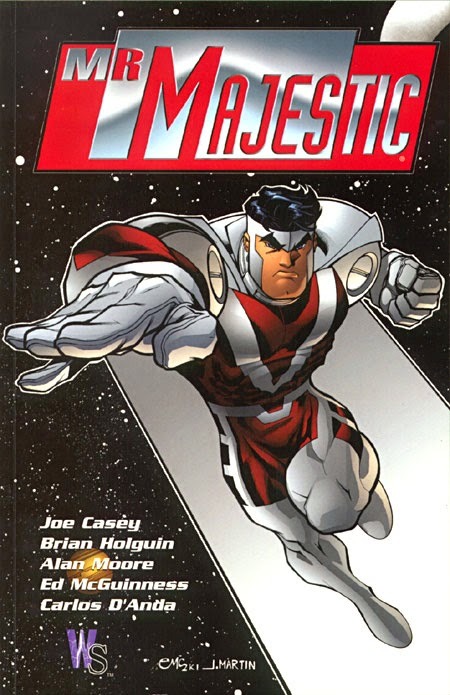 Most Image characters at the time were more flash than substance, but Majestic endured to become a recurring character in the series and eventually gained this solo book. Joe Casey has become a prolific comic book writer and Ed McGuinness is one of the best modern artists today. These two future stars paired up on this book and deliver a good product. Casey's Mr. 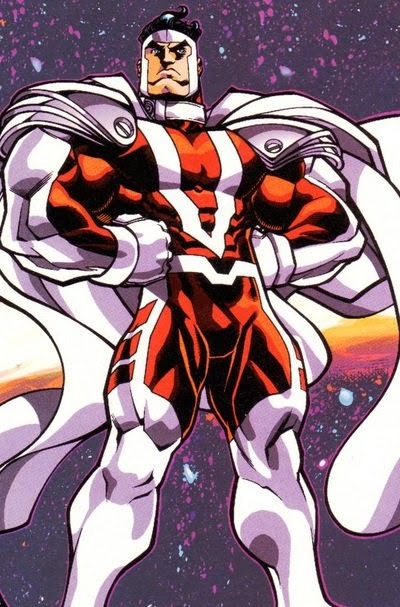 Majestic is a superhero who doesn't need a secret identity because he never has any down time, he performs impossible feats (like moving entire planets), and never lets any personal hardship or moral crisis get him down. Casey essentially delivers Superman stories reminiscent of the Silver Age (where grim and gritty never existed and no one questioned the scientific validity of superheroes' outrageous accomplishments) and McGuinness delivers his trademark style (a bit anime-inspired, mixed with some Jack Kirby). What I found really interesting here is McGuinness and Casey both got moved to the main Superman titles after this short Mr. Majestic series. 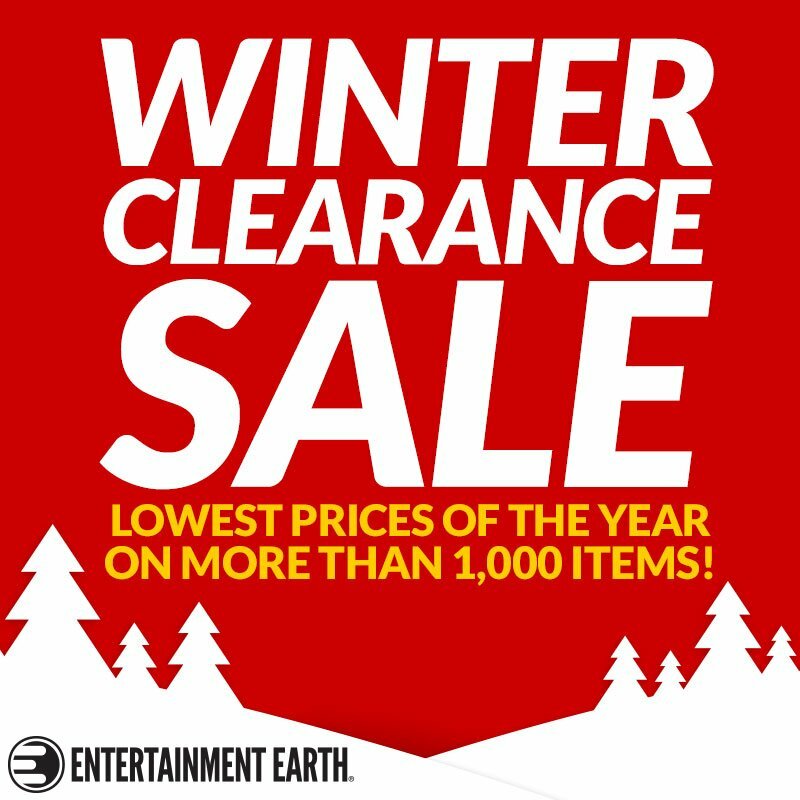 It became a stepping stone to much greater mainstream success with DC Comics. The title only lasted another three issues (one story arc) once McGuinness left. 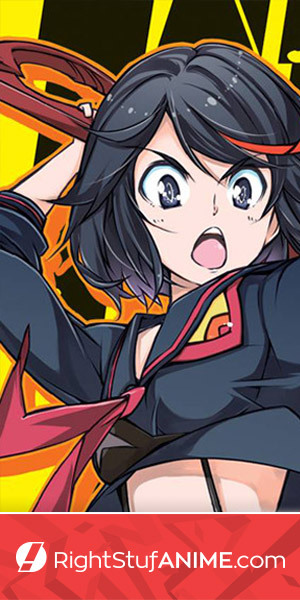 The final arc is not collected here and has never been reprinted. 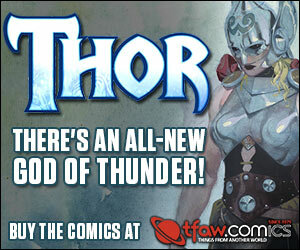 It's a good thing as the art style by Eric Canete and Juan Vlasco was too different from McGuinness' signature style. The story itself (which sees Majestic join an elite group of cosmic beings) seems to have been thankfully erased from the character's history. Overall I enjoyed the first issue of this collection and the Alan Moore story. The rest of it was decent, but not particularly noteworthy. Joe Casey was filling a void at a time where the Superman titles were all convoluted messes. If you liked Godland (also by Casey) then you'll probably dig this series. I like where the Majestic character has gone since his beginnings in Wildcats and this first solo series may be interesting to others, but I don't highly recommend it. His supporting cast is weak and the stories have no lasting impact that I can tell. Check out Majestic: Strange New Visitor for his crossover with the DC Universe. I'll be reading the follow up solo series which came out of the crossover to see how it fares (it lasted twice as long as this series which is a good sign).